Canada's first full production popcorn food truck. Serving the Golden Horseshoe... your go-to choice for Sweet & Salty, Savory & Spicy Cheddar Cheese and Gourmet Caramel and Candied Popcorn. "Pop-up" popcorn bars also available. 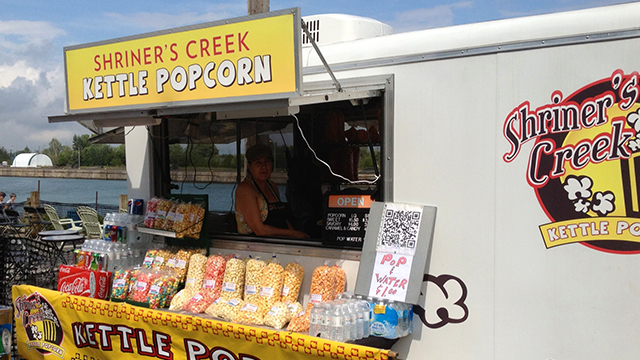 Visit our Popcorn Boutique at 1874 HWY 20E, Thorold ON. (1 km east on exit 17 off HWY 406).